An unedited version of article was originally published at HaydenJames.io and republished here with the author’s permission. pm = dynamic: the number of child processes is set dynamically based on the following directives: pm.max_children, pm.start_servers, pm.min_spare_servers, pm.max_spare_servers. pm = ondemand: the processes spawn on demand when requested, as opposed to dynamic, where pm.start_servers are started when the service is started. pm = static: the number of child processes is fixed by pm.max_children. See the full list of global php-fpm.conf directives for further details. Governor = ondemand: scales CPU frequency dynamically according to current load. Jumps to the highest frequency and then scales down as the idle time increases. Governor = conservative: scales the frequency dynamically according to current load. Scales the frequency more gradually than ondemand. Governor = performance: always run the CPU at the maximum frequency. See the full list of CPUFreq governor options for further details. Notice the similarities? I wanted to use this comparison first, with the aim of finding the best way to write an article which recommends using pm static for PHP-FPM as your first choice. With CPU governor, the performance setting is a pretty safe performance boost because itâ€™s almost entirely dependent on your server CPUâ€™s limit. The only other factors would be things such as heat, battery life (laptop) and other side effects of clocking your CPU frequency to 100% permanently. Once set to performance, it is indeed the fastest setting for your CPU. For example read about the â€˜force_turboâ€™ setting on Raspberry Pi, which forces your RPi board to use the performance governor where performance improvement is more noticeable due to the low CPU clock speeds. 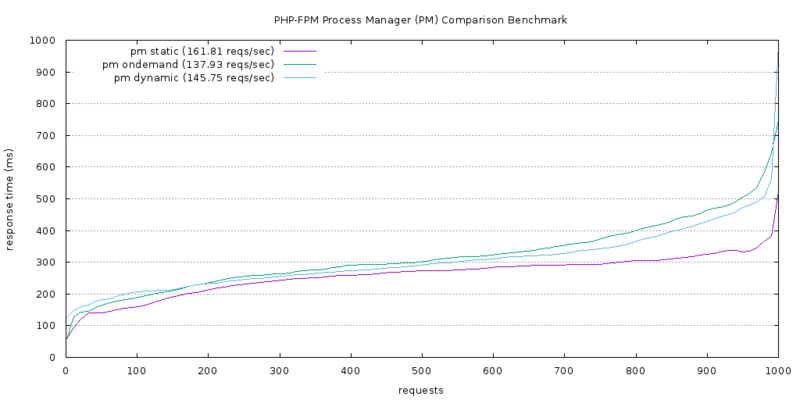 The PHP-FPM pm static setting depends heavily on how much free memory your server has. Basically, if you are suffering from low server memory, then pm ondemand or dynamic may be better options. On the other hand, if you have the memory available, you can avoid much of the PHP process manager (PM) overhead by setting pm static to the max capacity of your server. In other words, when you do the math, pm.static should be set to the max amount of PHP-FPM processes that can run without creating memory availability or cache pressure issues. Also, not so high as to overwhelm CPU(s) and have a pile of pending PHP-FPM operations. In the screenshot above, this server has pm = static and pm.max_children = 100 which uses a max of around 10GB of the 32GB installed. Take note of the self explanatory highlighted columns. During that screenshot there were about 200 â€˜active usersâ€™ (past 60 seconds) in Google Analytics. At that level, about 70% of PHP-FPM children are still idle. This means PHP-FPM is always set to the max capacity of your serverâ€™s resources regardless of current traffic. Idle processes stay online, waiting for traffic spikes and responding immediately, rather than having to wait on the pm to spawn children and then kill them off after x pm.process_idle_timeout expires. I have pm.max_requests set extremely high because this is a production server with no PHP memory leaks. You can use pm.max_requests = 0 with static if you have 110% confidence in your current and future PHP scripts. However, itâ€™s recommended to restart scripts over time. Set the number of requests to a high number since the point is to avoid pm overhead. So for example at least pm.max_requests = 1000 depending on your number of pm.max_children and number of requests per second. You may try to increase/adjust settings and still see the same error as someone describes in this Serverfault post. In that case, the pm.min was too low and because web traffic fluctuates greatly with dips and spikes, using pm dynamic can be difficult to tune correctly. The common advice is to use pm ondemand. 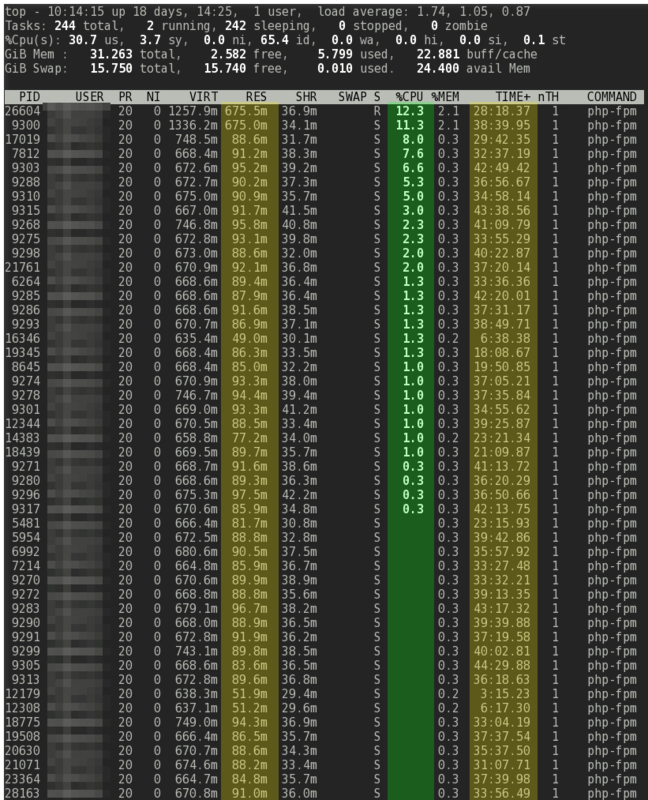 However, thatâ€™s even worse, because ondemand will shut down idle processes right down to 0 when thereâ€™s little to no traffic and then youâ€™ll end up with just as much overhead issues as traffic fluctuates — unless, of course, you set the idle timeout extremely high â€¦ in which case you should just be using pm.static + a high pm.max_requests. PM dynamic and especially ondemand can save you, however, when you have multiple PHP-FPM pools. For example, hosting multiple cPanel accounts or multiple websites under different pools. I have a server, for example, with 100+ cPanel accounts and about 200+ domains, and it would be impossible for pm.static or even dynamic to perform well. Only ondemand performs well, since more than two thirds of the websites receive little to no traffic. And with ondemand, it means all children will be shut down saving tons of server memory! Thankfully, cPanel devs figured this out and now it defaults to ondemand. Previously with dynamic as default it made PHP-FPM not an option on busy shared servers. Many would use suPHP because of pm dynamic eating up memory even on idle cPanel PHP-FPM pools/accounts. Chances are, if you receive good traffic, you wonâ€™t be hosted on a server with lots of PHP-FPM pools (shared hosting). When it comes to PHP-FPM, once you start to serve serious traffic, ondemand and dynamic process managers for PHP-FPM can limit throughput because of the inherent overhead. 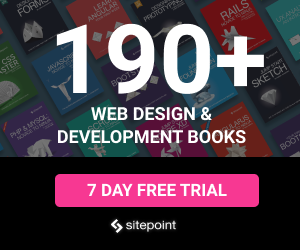 Know your system and set your PHP-FPM processes to match your serverâ€™s max capacity. Start with pm.max_children set based on max usage of pm dynamic or ondemand and then increase to the point where memory and CPU can process without becoming overwhelmed. You will notice that with pm static, because you keep everything sitting in memory, traffic spikes over time cause less spikes to CPU and your serverâ€™s load and CPU averages will be smoother. The average size of your PHP-FPM process will vary per web server requiring manual tuning, thus why the more automated overhead process managers — dynamic and ondemand — are more popular recommendations. Hope this was a useful article. Update: Added A/B benchmark comparison graph. Having PHP-FPM processes sit in memory helps performance at the price of increased memory usage to have them sit in wait. Find your setup sweet-spot. Hayden James is a Linux Systems Analyst and Internet Entrepreneur from the Caribbean. He relocated to the US ten years ago, where he maintained Linux servers and sold small startups. Today, he supports clients remotely from his island home while also managing a niche web hosting venture. His web blog features Sysadmin and other PHP related articles: haydenjames.io.